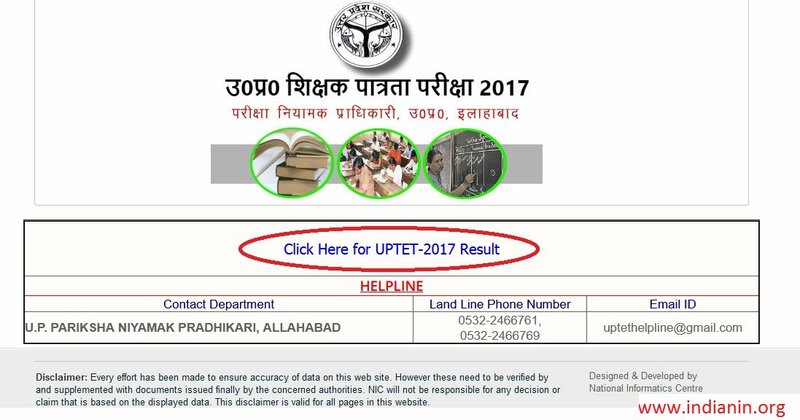 Uttar Pradesh Exam Regulatory Authority has released the result of the UP Teacher Eligibility Test (UPTET) today. UPTET-2017 will be declared on the official website of UP Basic Education Board. Approximately 9.76 Lakh candidates had appeared in the Uttar Pradesh Teacher Eligibility Test (UPTET) that was organized on 15th October 2017 across the state. Note : Candidate should sign 10-digit serial number to see his examination, if any candidate has allotted / issued a serial number of less than 10 digits, he should complete 10 points by adding zero (Zero) in his serial number. ** The exam was held on October 15. However, the result was cancelled due to some ambiguity in the UPTET 2017 answer key. After court’s order, candidates got grace marks and a total of 52423 candidates have qualified the UPTET 2017. ** A total of 10,09,347 candidates applied for the UPTET 2017 but only 9.76 lakh were allowed to sit. UPTET eligibility certificates will be provided to the candidates who have qualified the exam. ** Those obtaining 60 per cent of the total marks would be considered qualified for recruitment.